Back on Halloween, we passed along what appeared to be a nice treat to readers. Tipster Evan Blass, sent out a tweet stating that LG would unveil a foldable phone at January's Consumer Electronics Show in Las Vegas. This would take place ahead of the expected February or March unveiling of the Samsung Galaxy F. And that would be quite a coup for LG, considering that all eyes have been focused on Samsung. 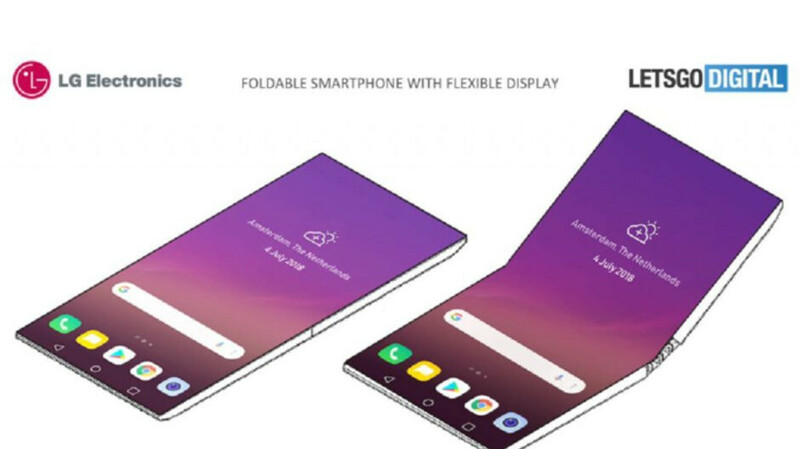 According to a recent report from Korea's CGS-CIMB, Samsung, Huawei and LG are expected to introduce foldable phones during the first half of 2019. In the second half of the year we should see foldable handsets announced by Oppo, Xiaomi, Vivo and Motorola. In 2020, the report says to expect a foldable device from Microsoft to be introduced during the first half of the year. The second half of 2020 could see the first foldable Apple iPhone hit the light of day. LG has the ability to show a working foldable, its just they don't want to just for the reason of half heartedly showing it for the sake. Apple will not release a foldable phone in 2020 giving their track record on new tech adoption. It took them 3 years to give to their users water resistance. They will milk the x series for years to come because they can, the fan base allows them because they can't turn heads to left or right.